Kids in the Kitchen Chopped: Dessert! We are happy to announce the next installment of our monthly Kids in the Kitchen programs! Each program is a ticketed event with limited space so we can keep the instruction as hands-on and interactive as possible. We ask that all age restrictions be followed, as each class is created specifically for each group. We have 20 spots, which will form 5 teams of 4. Each team will receive a picnic basket of mystery items that they will use, in addition to the pantry items provided, to create a whole new dessert. Each team will be given recipes for basic desserts to use as a guide. Come with a team of 4, or make new friends the day of! All Kids in the Kitchen Programs are children ages 7-11 years old. Each session is an hour and a half long, from 10 AM to 11:30 AM. Chopped Classes are $25 per student and $20 for members. We love to see your chefs in action, so tag us on Facebook (@Southern Food & Beverage Museum) or Instagram (@eatdrinksofab) when they're flexing their new cooking skills! If you have any issues with the ticketing software or would prefer to make your reservation on the phone, please call us at 504-267-7490 during the week or 504-569-0405 on the weekends. Tickets may be refunded or exchanged up to 48 hours prior to the event. After 48 hours no refunds will be available. Kids in the Kitchen Incentive Program! Each time your student replicates a dish made during camp or a Kids in the Kitchen program and sends a picture of them in action to Jennie Merrill (jennie@southernfood.org), they will receive a chef hat cut out. We'll write their name on that cut out which will go on a wall in the Museum. Here are the prizes! 15 chef hats= Choose the Menu- You get to choose the theme of the next class! Whatever YOU want to make (within reason and consultation with Jennie). 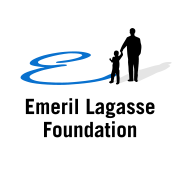 Many thanks to the generous support of the Emeril Lagasse Foundation for the development of SoFAB's middle school programs.